I don't write reviews for books I'm rereading but never got a review up but I loved rereading this. It is quite different than the movie version which unfortunately was the version I remembered the most but I prefer the book one more because it's more complicated. 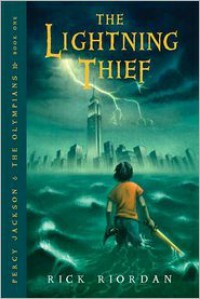 This just bought back the magic of Camp Half-Blood and these familiar characters.